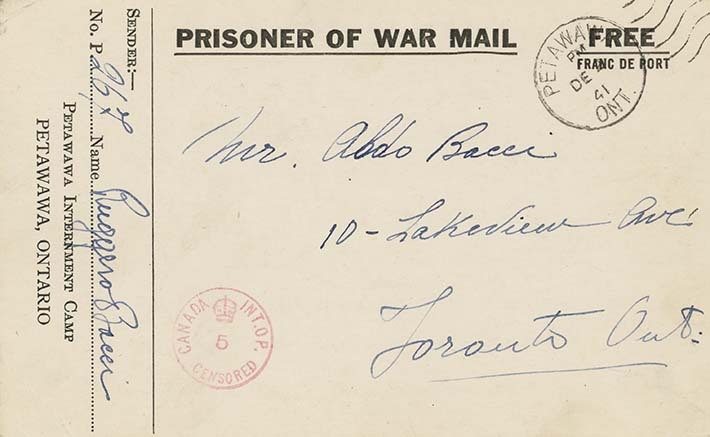 Internee Bacci writes to his eldest son, Aldo, that he is pleased to hear that everyone is well. He asks that Aldo remain healthy in mind and body, and remove himself from friends the father considers to be bad influences. Bacci notes that he is not there to guide his son's behaviour, but considers him intelligent enough to control himself, avoid negative influences and follow the right path.